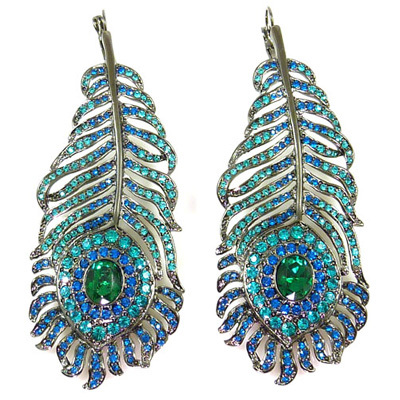 Large feather drop earrings encrusted with aquamarine and sapphire swarovski crystals on a gunmetal plated frame. Stamped with KJL. Size: 3.5 x 9.5 cms.